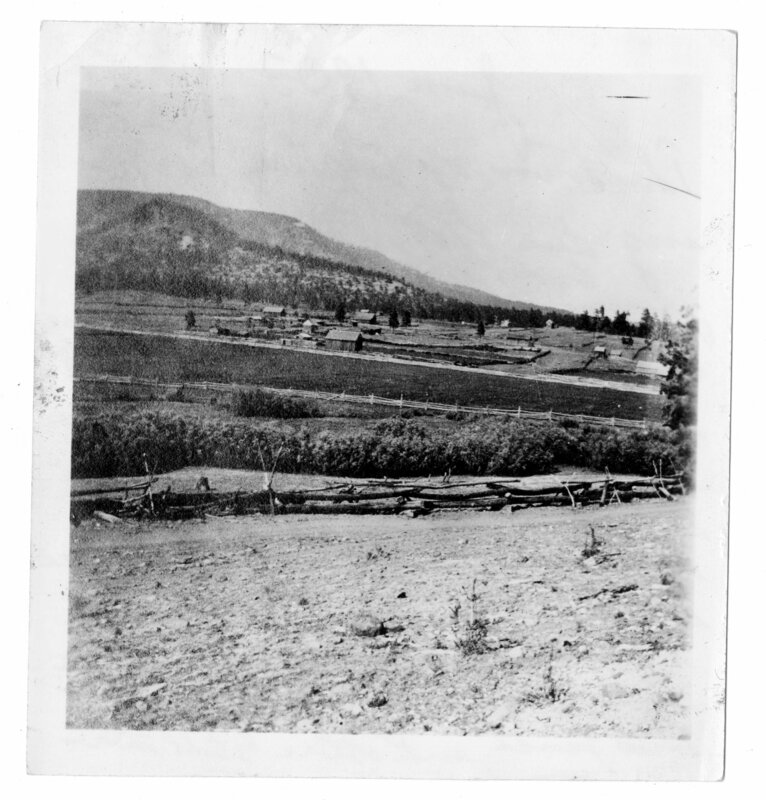 Description Caption on back reads, "The town of Alpine looking due east. Fence in fore[ground] built in the early 80s. Ground built is typical of all fences at that time in the valley. See schoolhouse on that little high place. Tithing office on high hill in background to far right. Every house barn and corral is shown. Williams in foreground marks creek. Dark spot farming land. This fence and others still there."